Cloud and mobile apps are quickly forcing their way into the enterprise, facilitating employee productivity, but exposing business-critical data. Cloud apps, and the mobile devices that can access app data, are often outside of IT control. Infosec Partners are skilled at cloud infrastructure and managing mobile apps that deliver security, simplicity and control to customers — with fast deployment, facilitating employee productivity. While Identity and Access Management (IAM) is intended to safeguard from unauthorized access, it also plays a crucial role in ensuring compliance, achieving workflow optimization and bringing system efficiency. However organizations often find themselves stuck when it comes to integrating Identity and Access Technology because of lack of extensive know-how. IAM Managed Services by Infosec Partners, takes care of your day to day IAM needs, adding business value by bringing down the cost of IT Systems’ Management. This includes securing the identity of users, safeguarding sensitive data and managing applications security. We provide resource support for Information Technology (IT) Security departments to become agile & scalable, overcome short-term capability deficiencies and/or accommodate the impact of hiring restrictions. IAM Managed Services by Infosec Partners help clients leverage identity to secure and manage user access to applications from any device, regardless of location. By leveraging a single identity across cloud, mobile and onsite apps, users get a single username and password across all the apps they use for work, and IT can enforce consistent access policies based on user identity. Users get one-click access all their apps from any device, and IT gets policy-based control, and automated provisioning and account management. Our managed services team takes care of the “heavy lifting” of Identity and Access Management. We architect and integrate the IAM solution to perfectly fit your organisation, and manage, maintain and regularly fine-tune to ensure optimal performance and security. Interested in Managed IAM Services that improves the security of your business? Just let us know how our Trusted Advisors can contact you. Security, simplicity and control. IT gets one place to manage all accounts and devices. Users get single sign-on across cloud and mobile apps from any of their devices. 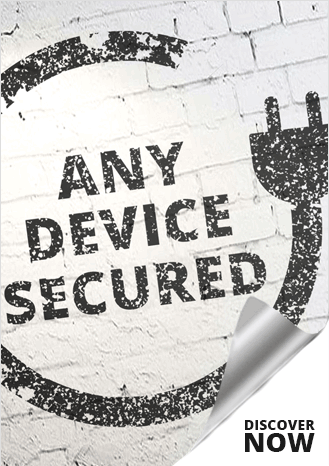 Eliminate the security risk of simple, reused and/or improperly managed password. Our team of experts integrates shapes IAM Managed Services to fit your organisation, giving you access to a complete range of integrated Identity and Access Governance, Administration and Access Management (Authentication, Authorization) capabilities. Flexible SLAs to match your organisation's risk profile, requirements and budget. 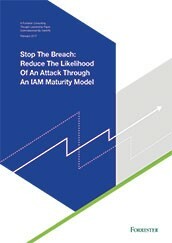 IAM security assessment to make sure your IAM Managed Service fits perfectly. Regular detailed reporting enables compliance.